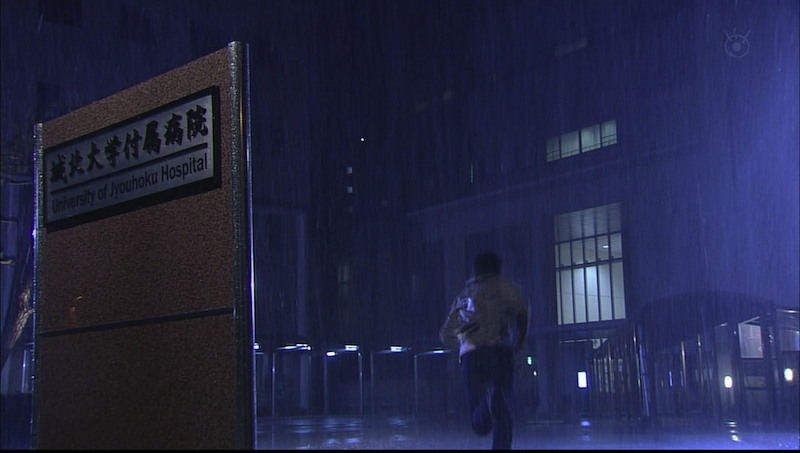 Shocked by the news about the attempted murder of Sakagami Youichi, Shuichi immediately ran to the University of Jyohoku Hospital. 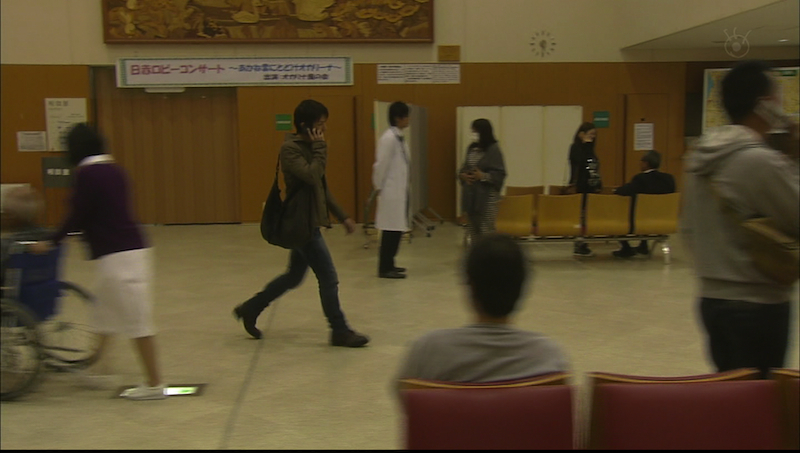 Later in the drama, he also walked through the hospital lobby after having an unpleasant conversation with Sakagami. 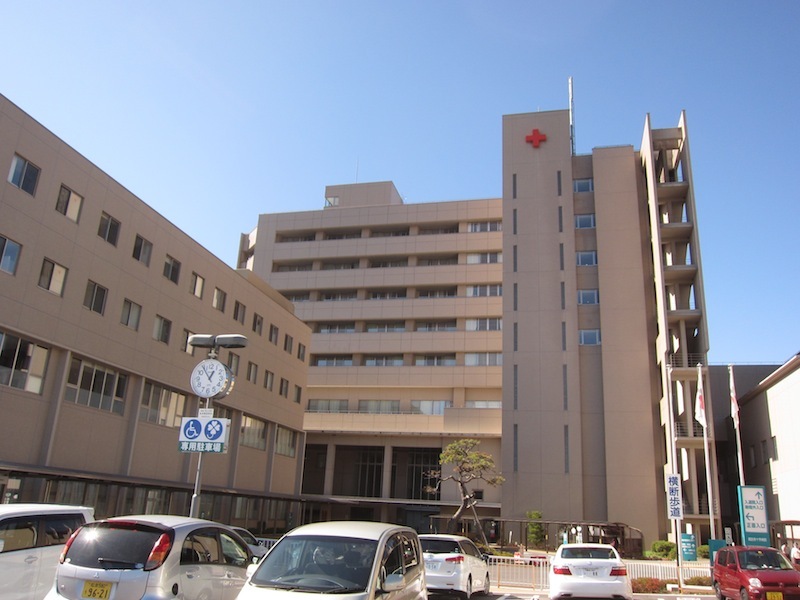 The real name of the hospital is Suwa Red Cross Hospital and it is located in Suwa City (Nagano prefecture). 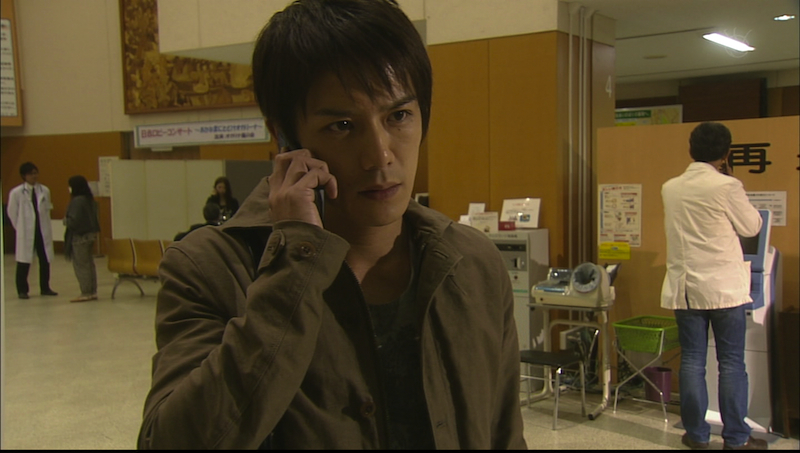 On October 24, 2012, people tweeted that they saw Takki at Suwa Red Cross Hospital. 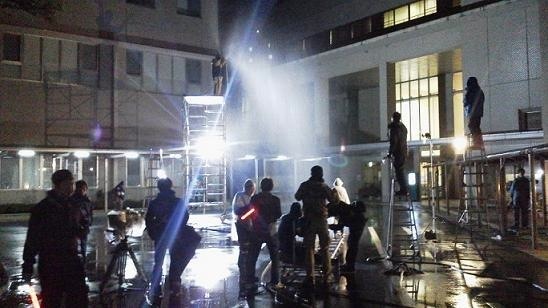 Then a few days later, the location database blog for the city of Suwa posted Sidenote Picture #1, which shows them filming the “rain scene” in front of the hospital. 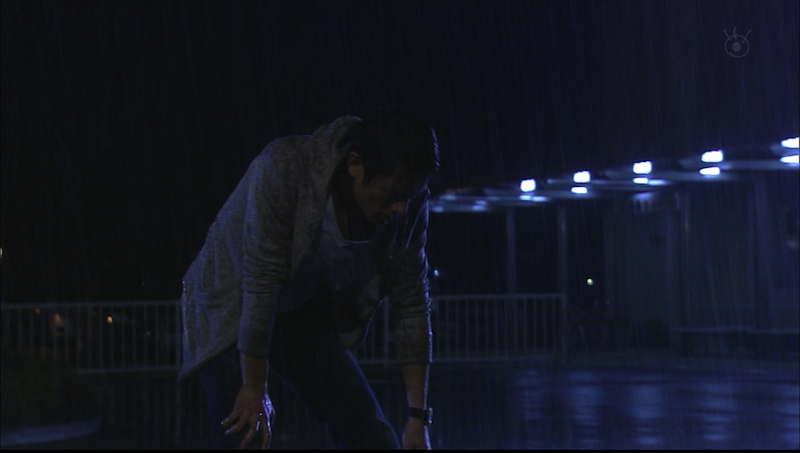 And if you look closely, you can see Takki standing there in his drenched grey sweatshirt! 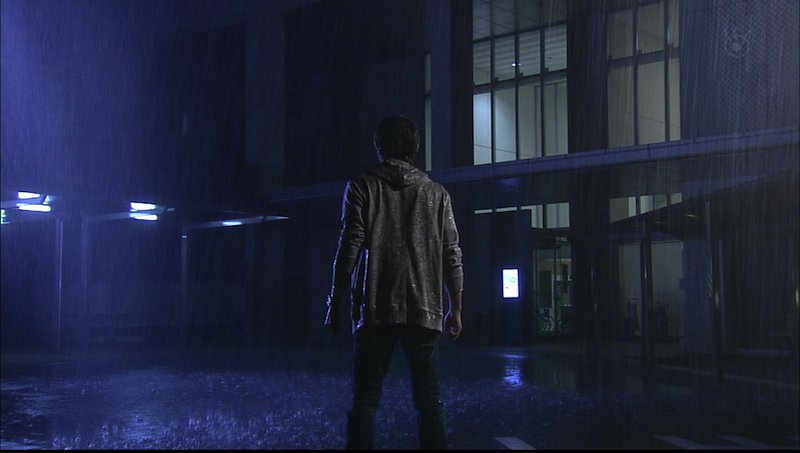 The other two Sidenote pictures are from the internet. 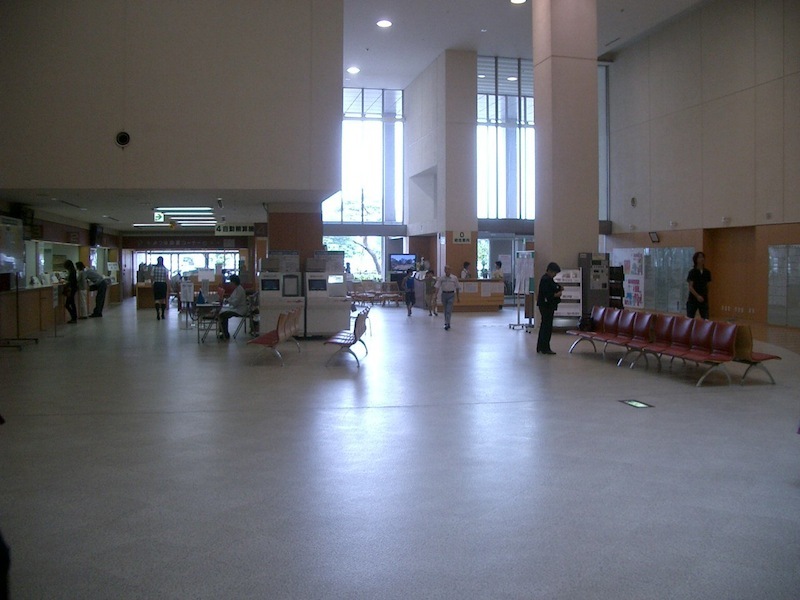 I think it’s okay to take pictures of the hospital from the outside, but going inside the hospital is not really advised because we don’t want to be a disturbance to those who are there for more serious reasons.